The problem is I don’t want a Ford – I want a Tesla S.
Ford C-MAX Solar Energy Concept is first-of-its-kind sun-powered vehicle with the potential to deliver the best of a plug-in hybrid without depending on the electric grid for fuel. With a 300 W solar panel roof – the same size as a standard PV panel (15 sq. ft.) – it draws power from a special solar concentrator lens similar to a magnifying glass and generates enough power to drive 21 miles on a charge. 21 miles doesn’t sound like much but Ford claims that 75 percent of all trips made by an average driver should be covered by this range. Of course you can always plug it in to the grid for a charge or use the gasoline engine. After-all it’s just a modified C-MAX Hybrid. What is truly amazing is that Ford states that it’s drawing enough power from the sun through the concentrator each day to equal a four-hour battery charge (8 kW). In other words Ford has invented a magnifying glass that 6x the output of a regular 300 W panel producing not 1,200 W in 4 hours but a whooping 8kW. Driving 21 miles on a 8kW charge is nothing new. 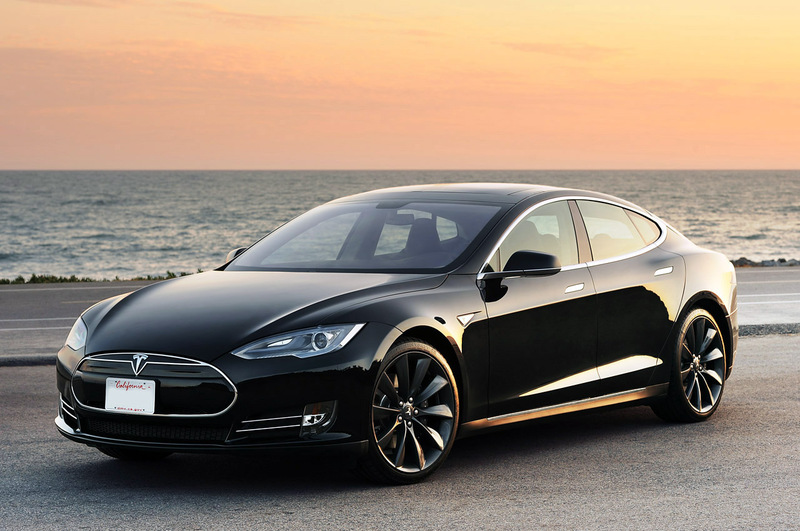 In fact the Tesla S will use about the same amount of energy to drive the same distance with a much faster motor! Unlike the Ford Hybrid the Tesla doesn’t have a gasoline engine as your Plan B. My weekly commute to Silicon Valley is about 100 miles each way. So in order for me to make it into the office and back I need roughly 66kW of energy (1/3kW per mile on average). To produce 66kW off-grid with 5 hours charging time on a sunny day I’d need a 16kW array or 64 panels (~1,000 sq. ft. of solar panels). If you compare that to the 24 panels that are powering my house – I might have to wait for Elon Musk to produce a Tesla Hybrid or I risk missing my meeting or flight on a rainy day.